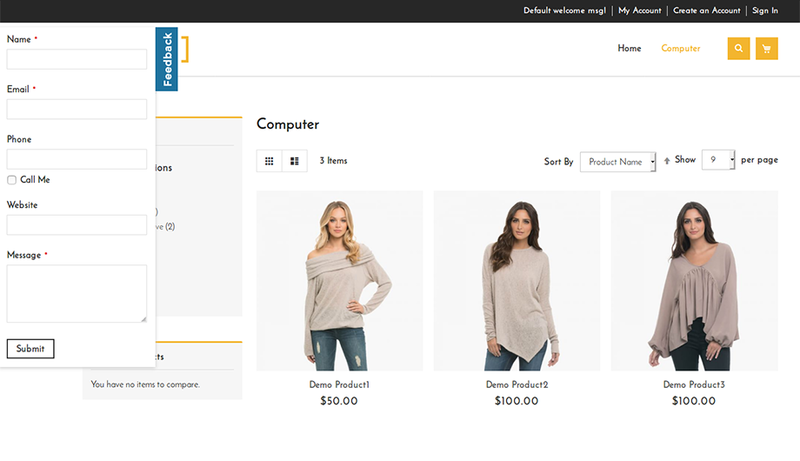 The Magento 2 Customer Feedback extension enhances shoppers experience by adding a floating ‘Feedback’ button and a fully functional feedback form on every page of the website. Upon submission the feedback form sends an email with customer details to store owner. 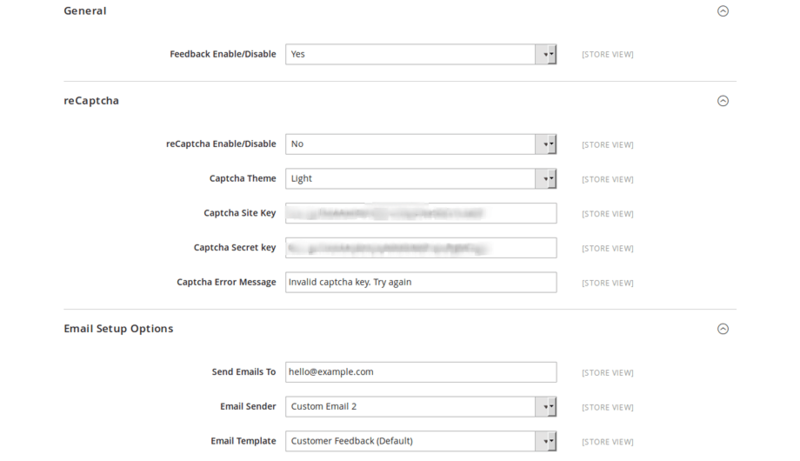 Store owner can also set custom transactional mail template for feedback. Add google recaptcha functionality to protect your site from spam. Customer Feedback extension helps store owner to understand customers taste and needs about your store. 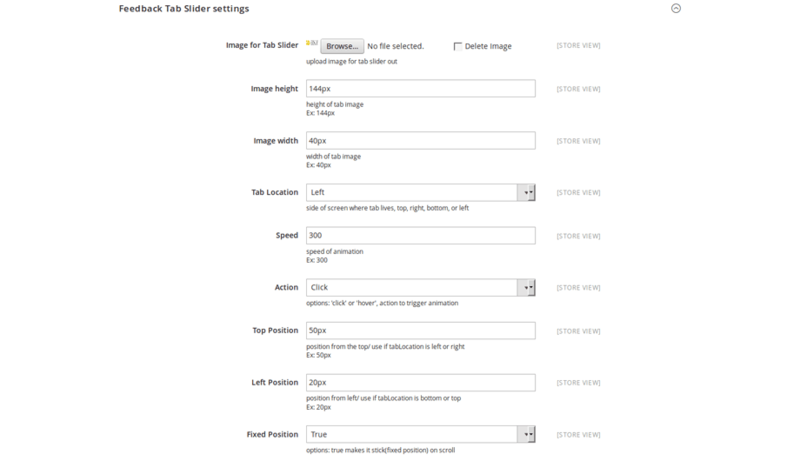 Set Feedback form in left,right,top or bottom position. 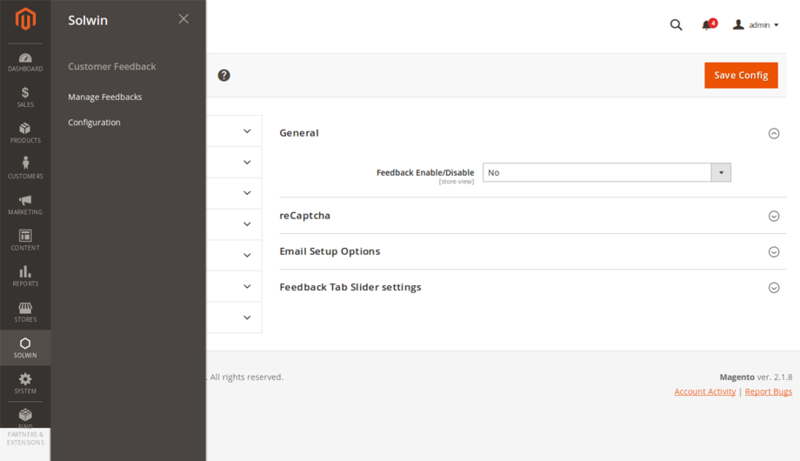 Set feedback form open style that is on click or hover. The form allows customers to write detailed feedback in the manner they want. Protect your site from spam using Google reCaptcha. Feedback about your store helps you improve formulating your business strategy. We’re active for any support issues and feature suggestions. 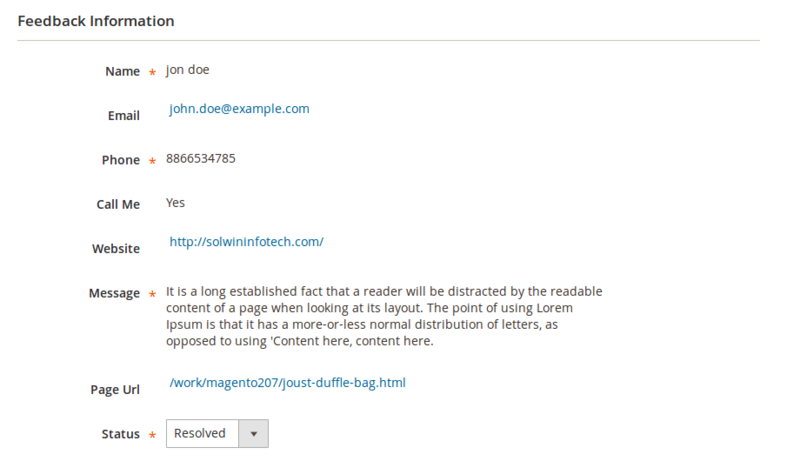 Download the Customer Feedback extension .ZIP file from solwininfotech.com using your Solwin Infotech website account. If you are using Magento 2.0.x then you need to extract solwin-customerfeedback-m2-2.0.x.zip file. If you are using Magento 2.1.x then you need to extract solwin-customerfeedback-m2-2.1.x.zip file. If you are using Magento 2.2.x then you need to extract solwin-customerfeedback-m2-2.2.x.zip file. If you are using Magento 2.1.x then you need to extract solwin-customerfeedback-m2-EE-2.1.x.zip file. If you are using Magento 2.2.x then you need to extract solwin-customerfeedback-m2-EE-2.2.x.zip file. Now, you can see the Solwin menu in admin panel. Please go to Solwin -> Customer Feedback -> Configuration and select Enable to Yes. 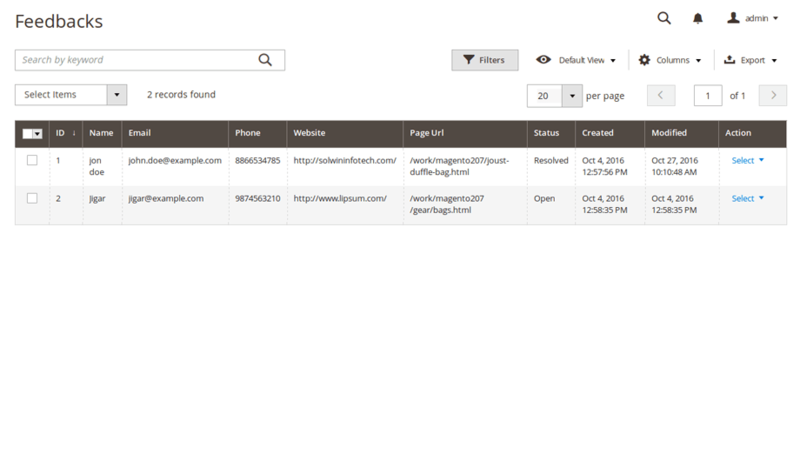 Powerful Google custom search integration extension for Magento 2 to enhance search functionality of store.